Things have returned to routine--for now-- at the US Forest Service office in Rhinelander. 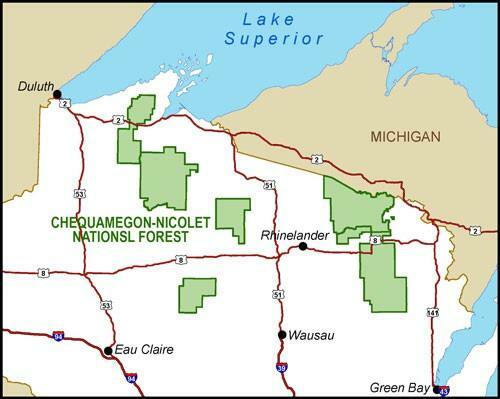 The longest federal shutdown in history--35 days--halted many agencies including the Chequamgeon-Nicolet National Forest, though not all workers were off. "Recognizing the impact the partial shutdown had on the important work our agency does on behalf of our taxpayers. With funding restored, we're reassessing our priorities for the remainder of the year. Getting back to work, going out and grooming snow trails with all the snow we're having we're enjoying being able to get back out and groom trails so the public can enjoy the national forest..."
"..When you leave things sit for 35 days, that's all of our vehicles, equipment and we had that really cold spell. Making sure vehicles were functioning properly, all of our equipment wasn't damaged, there's a lot that goes into that when you walk away for a period of time...."
"We're appreciative of our partners. There were a lot of volunteers, probably community members who went out and picked up garbage along rec sites. We're very thankful for all the help and support during the shutdown. We're happy to be back at work and get back at it..."
The federal government shutdown began on December 22 and ran until January 25. The funding to continue government operations ends on February 15, unless Congress and the White House agree on a continuation. More than 8 TONS of trash were recently picked up in a portion of the Chequamegon-Nicolet National Forest. This trash is human made and is illegal. Evan Miller is acting District Ranger at the Eagle River-Florence office. What did Forest staff find? "....last week we picked up a variety of things...tires, a row boat, couches, televisions anything people don't want to dispose of in an appropriate manner...."
The trash pickup happened between Eagle River, Florence, the border with Michigan over toward Hiles and Laona.